留意本台全線直播節目和參加熱線遊戲就有機會贏取由加拿大中文電台 FM94.7 送你《BEAUTY AND THE BEAST》DVD 一套。Listen and call FM94.7 hotline during live programs and you will have a chance to win a 《BEAUTY AND THE BEAST》DVD. 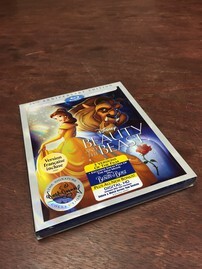 Cast a spell on your imagination and embark on an epic adventure with Belle, our brave and independent heroine, the Beast, who has the heart and soul of a prince, the music you'll never forget and all the fun characters you love. Plus, never-before-seen bonus extras reveal Walt Disney's first inspiration for the cherished classic. 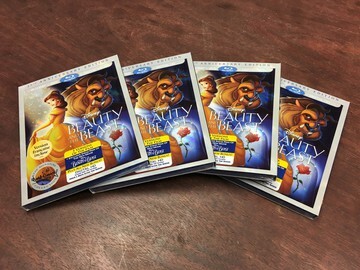 Create magical memories when you share this beloved story and its Academy Award (1991: Best Music, Original Song - Beauty and the Beast, Original Score) winning music with everyone in your family! Part of the Walt Disney Signature Collection.